Hey there, it's Caryn here with a couple of cards I created using the beautiful Hummingbird stamp set and Elle-ments from the Summer 2018 release. This set features a gorgeous Hummingbird image along with a fuchsia design but it could be mixed and matched with so many other floral sets from Avery Elle. Both cards started with a frame cut from purple cardstock using the largest of the Reverse Pinked Elle-ments and feature some of the images from the set coloured with Copics. 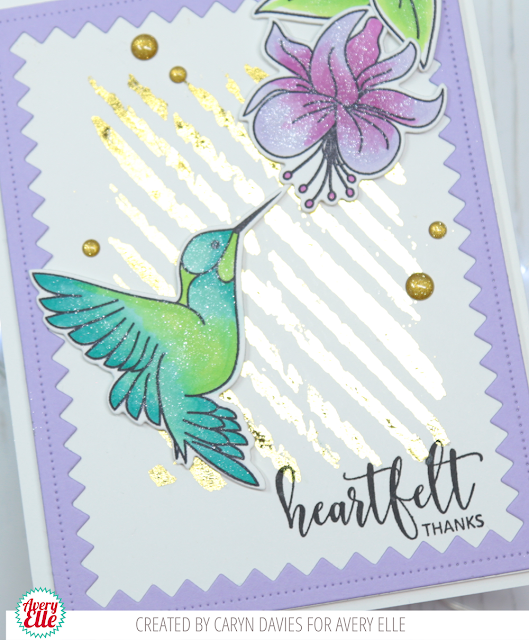 On the first card I created a gold foiled background using the Painted Backdrops stamp set. I took the striped image and stamped it using Versamark ink onto the card then heat embossed it with sticky embossing powder from Wow. Once this was "melted" I added gold foil over the top and ran it through a Minc machine. The effect is so pretty. I simply added the sentiment from the Magnolia set in black ink and popped the flower and bird images onto the front using foam tape. 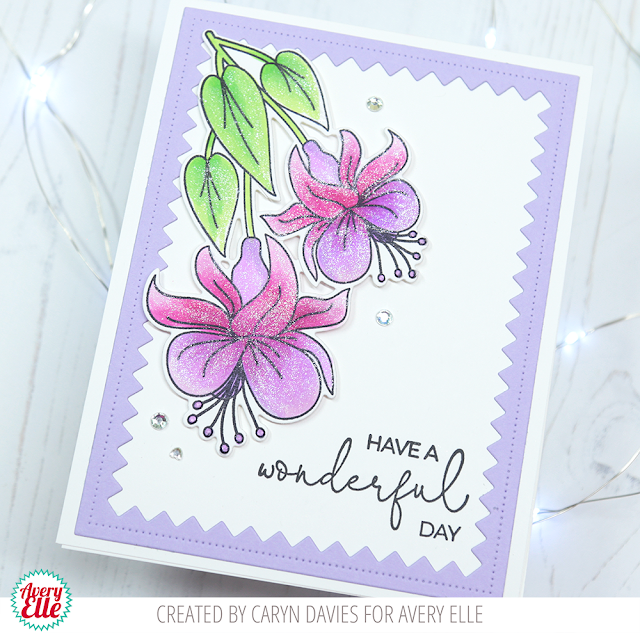 My second card features the larger of the flower images coloured with Copics and adhered onto the card front with foam tape. 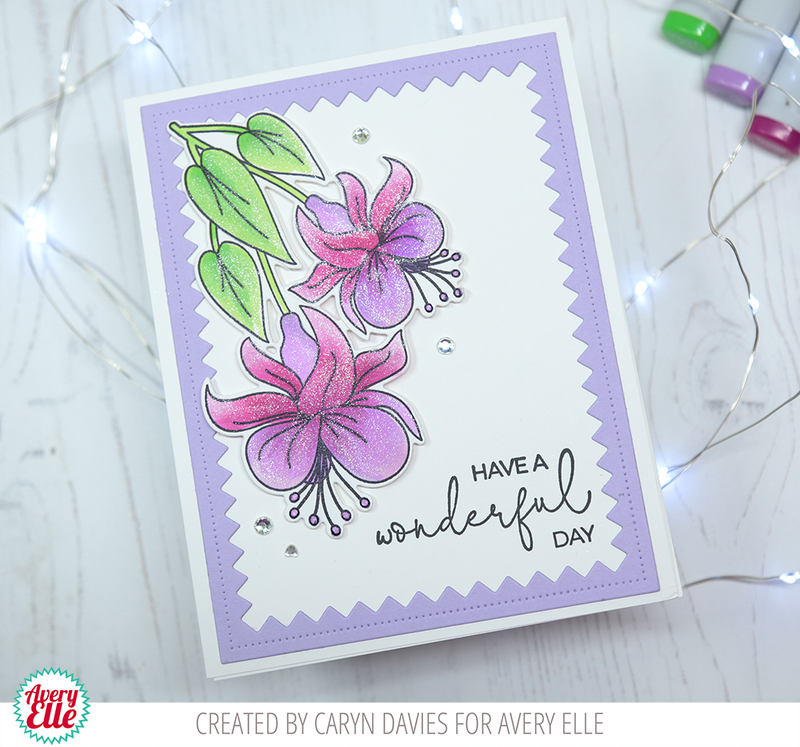 I stamped the "Have A Wonderful Day" sentiment in black ink and finished off with some adhesive gems. 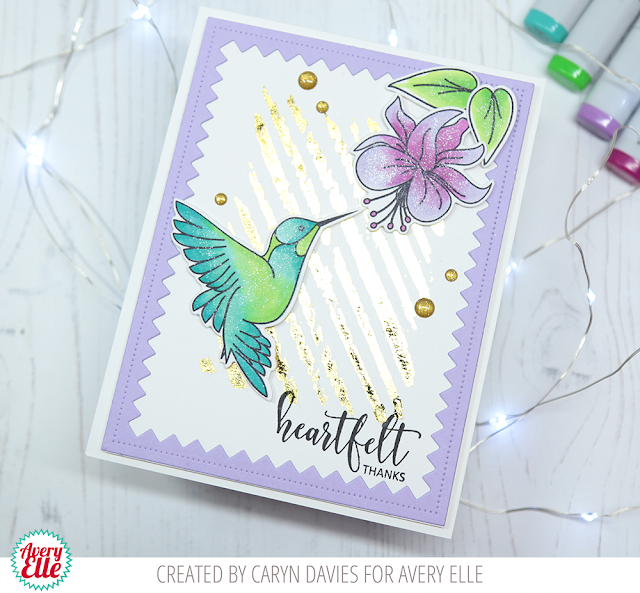 Am loving your new hummingbird stamp and die set!! So fun and so beautifully done!